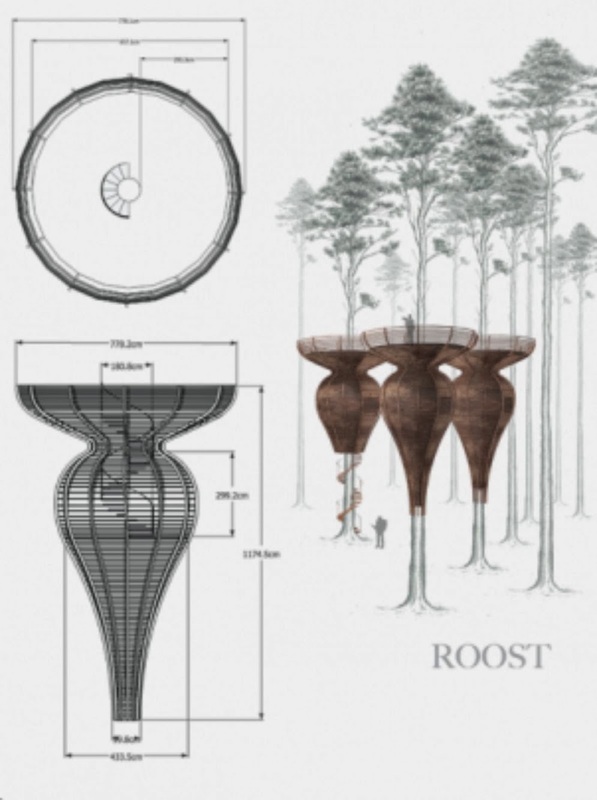 Roost Treehouse is designed by Antony Gibbon Designs to mimic the organic curvaceous forms found in nature. 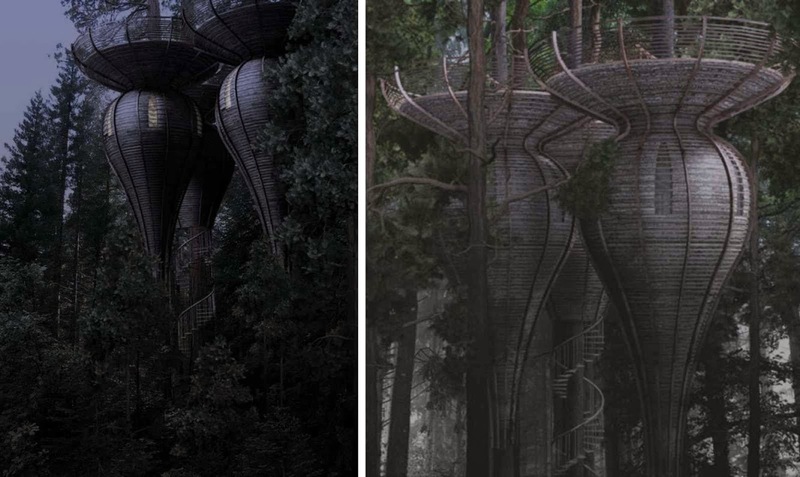 The aim was to create a tree house that could blend in and almost become part of the tree itself, becoming camouflaged in the surrounding forest. 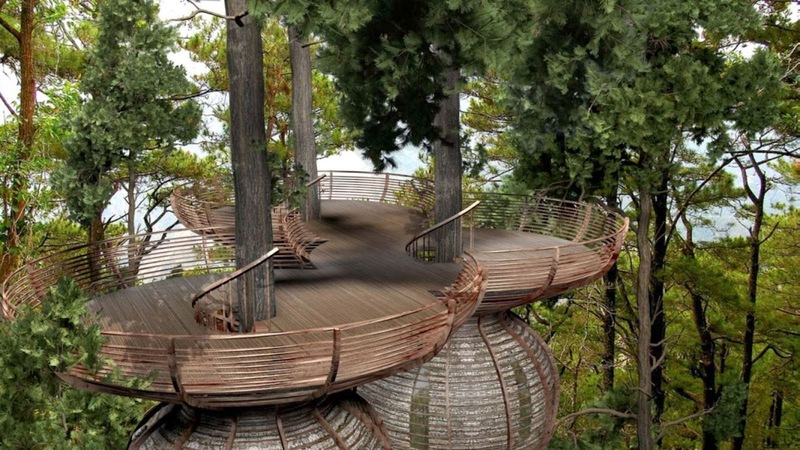 The tree house consists of a series of pod like capsules that are harnessed to the trunk of each tree using a bracing technique that causes no harm or interference with the trees growth. 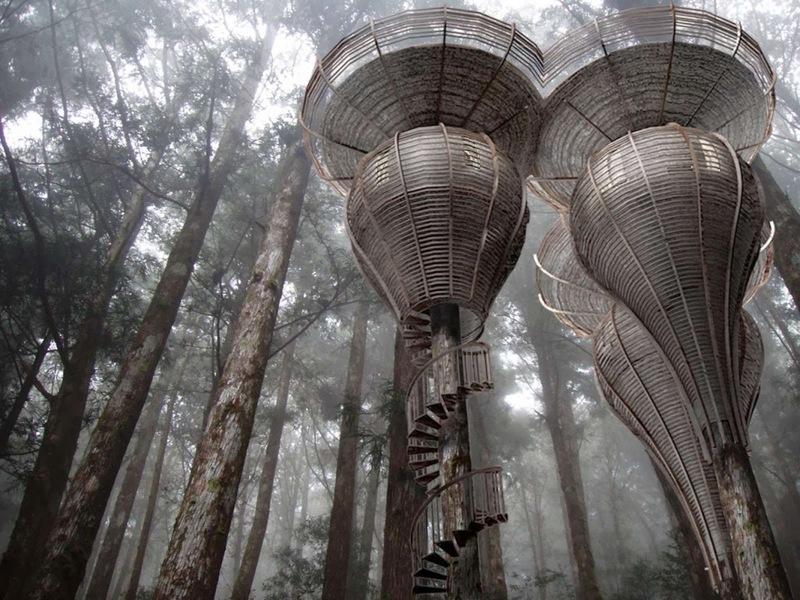 Each capsule has a central spiral staircase leading up to an outdoor platform. This connects to the adjoining pod allowing access into the next structure a well as providing additional support to the overall structures. 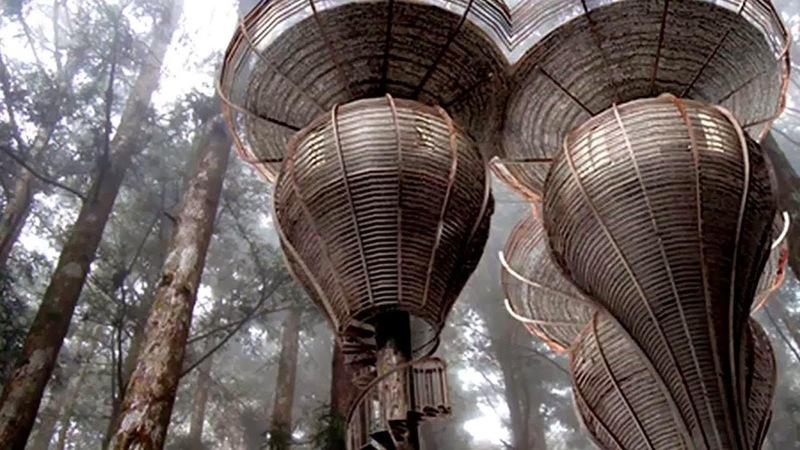 Only one of the pods has the spiral staircase running to ground level. 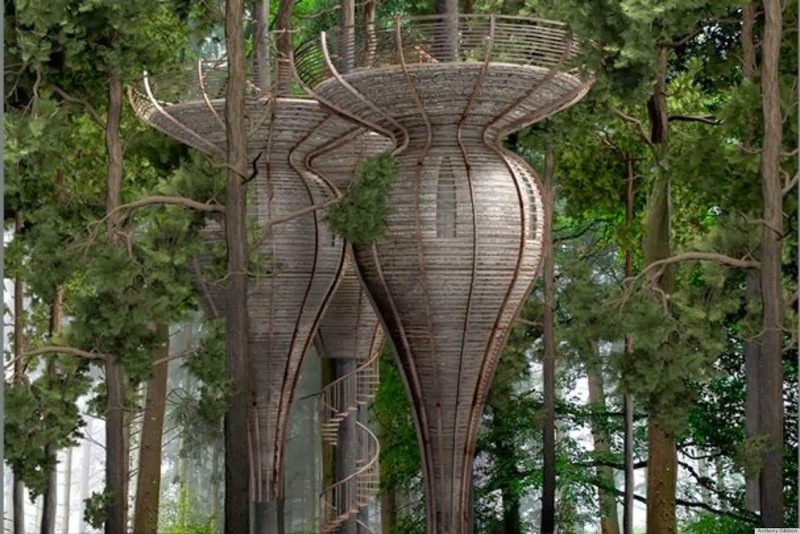 The interior of each pod sleeps 2 people and the above exterior platform is designed to interact with the forest surroundings providing panoramic views of the trees canopy's. All the materials used for the construction are from sustainable materials and do not damage the trees in any shape or form.